Made in Japan. Two channel head with tremelo. 60's, One owner since new! 40 watt, RARE solid state amp Made in Oz! with 2x12" Etone loaded cabinet. Recently serviced by Colin Chester. The Positive Grid BIAS Rack packs a formidable 600-watt guitar and bass amplifier and the creative power of BIAS Amp Pro software into a rugged rackmount amplifier. It's a powerful solution for gigging and will serve engineers well in the studio too. Using BIAS's Amp Match technology, you can capture the character of your own amplifiers, load them into the BIAS Rack, and even add them to the thousands of custom amp models available on the BIAS ToneCloud. Includes box and matching 4-way footswitch. Only 4 months old! 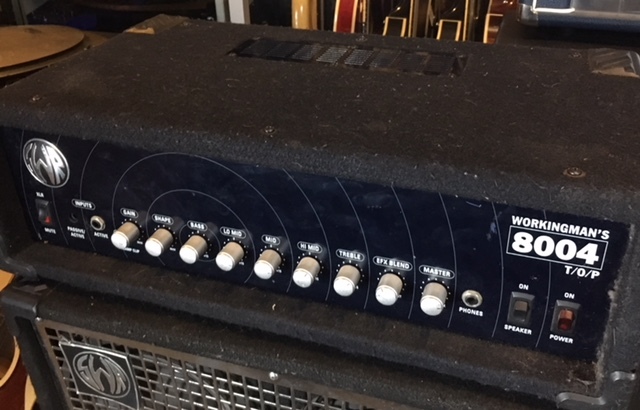 Guitar Amp Reverb Head! 250 Watts at 4 Ω! Solid state guitar head, 2 Channels, Reverb, effects loop, Speakon output, and CD/MP3 input! Good condition! Enter your email address below to get alerts for Solid state heads.